Thank you for selecting halloweencostumes.ie (referred to as “Site”, “Halloween Costumes”, “we”, “our”, or “us”). Please read these Terms and Conditions (“Terms”) carefully. The Terms are a legal agreement between you and us in relation to your use of the Site and its associated services (the “Agreement”). You must be 18 years or older to use the Site or any Service. If you are not 18 years or older you are prohibited from using the Site and should leave the Site now. The information, products and services provided through halloweencostumes.ie are NOT intended for use without appropriate health and safety knowledge on your part. While we may occasionally provide suggestions for how to use our products more safely, it is your responsibility to ensure appropriate use. None of the information provided by halloweencostumes.ie is intended to replace consultation with a lawyer or with a physician, mental health professional or other health care provider. 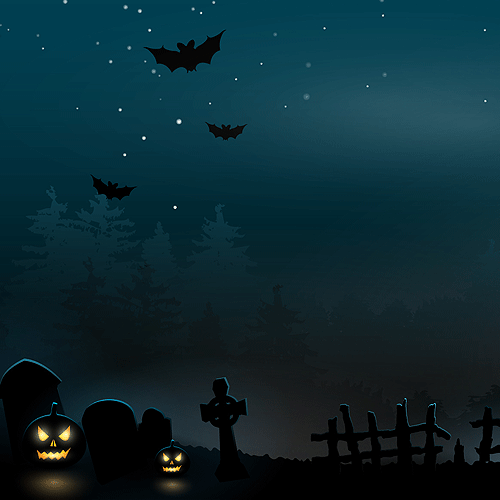 We may discontinue or change any halloweencostumes.ie content, service, function or feature at any time with or without notice. If you wish to register with the Site you will need a username. You can select any username you like, except that your username cannot be an impersonation of another person, a term that is the same or confusingly similar to a famous trademark, or a term that is offensive in any way. You may, but are not obligated to, use your own name. If you do use your own name, you consent to it being passed to others by use of certain of the functions of Site. halloweencostumes.ie reserves the right to reject or remove any username. 9.1 Third Party Suppliers: You agree that your dealings with third party suppliers found on or through the Site, including payment and delivery of related goods or services, and any other terms, conditions, warranties or representations associated with such dealings, are solely between you and the third party supplier, and you agree not to hold halloweencostumes.ie liable for any disputes you may have with such third party supplier. 9.2 Links: This Site provides, and third parties may provide, links to other websites or resources. As we have no control over such websites and resources you agree that links to third party websites are provided solely for your convenience and we are not responsible for the availability of such external sites or resources and are not liable for the content found at such websites or resources. If you decide to access any third party websites linked to this Site you do so entirely at your own risk. 11.1 You Gain No Ownership: No intellectual property ownership rights transfer from you to us, or us to you, as a result of this Agreement. The content of the Site is protected by copyright, trade-marks, database and other intellectual property rights. You may retrieve and display the content of the Site, store such content in electronic form on disk (but not any server or other storage device connected to a network) or print one copy of such content for your own personal, non-commercial use, provided you keep intact all and any copyright and proprietary notices. You may not otherwise reproduce, modify, copy or distribute or use for commercial purposes any of the materials or content on the Site without written permission from halloweencostumes.ie. 11.3 No Infringement of Third Party Rights: You warrant and represent that your content will not infringe any copyright, moral right, database right, trade mark right, design right, right in passing off, or other intellectual property right; and you possess all sufficient permissions, rights and/or licenses to provide or upload all and any content shared by you on or through the Site or Services. You agree and acknowledge you must not infringe any copyright, moral right, database right, trade mark right, design right, right in passing off, or other intellectual property right of any third party through your use of the Site and Services and must only share content when you possess all sufficient permissions, rights and/or licenses to provide or upload all and any content shared by you on or through the Site. Further, in the event of you infringing the intellectual property rights of any third party through your use of the Site or Services, it is you and not halloweencostumes.ie that will be liable. 11.4 Copyright Infringing Content: A portion of the Site’s content is contributed by our users and is known as User Generated Content (UGC). We do not check UGC for violations of copyright, trademarks or other rights but the Site is protected by international safe-harbor provisions for online service providers and follows international best practice such as the principles of the EU Directive on Electronic Commerce and the US Digital Millennium Copyright Act (DMCA). 15.1 Your Content: You grant us a perpetual, worldwide, fully transferable, sub-licensable, non-revocable, fully paid-up, royalty free license to use the content you provide to us in any way. 15.2 Use of Your Feedback: You agree that we may use your feedback, suggestions, or ideas in any way, including in future modifications of the Site or Services, other products or services, advertising or marketing materials. You grant us a perpetual, worldwide, fully transferable, sub-licensable, non-revocable, fully paid-up, royalty free license to use the feedback you provide to halloweencostumes.ie in any way. Disseminating any unlawful, harassing, libellous, abusive, threatening, harmful, or otherwise objectionable material. Engaging in technically harmful behavior, which includes but is not limited to: computer viruses, logic bombs, trojan horses, worms, harmful components, corrupted data and other malicious software or harmful data. 15.4 Right to Remove: We reserve the right to refuse to post material on our Site or to remove material already posted on the Site. 16.1 Deliveries: Orders are shipped and delivered Monday through Friday (excluding holidays). halloweencostumes.ie ships your orders to you via Courier or An Post, depending on where stock is being despatched from. All orders are registered and require signature as proof of delivery. Please note we will process and ship your order within five (5) business days, usually sooner, but we do not ship on weekends or holidays so this may have an impact on your delivery date. 16.2 Returns for Costumes: Costumes purchased from halloweencostumes.ie can be returned within fourteen (14) days of purchase once they have no sign of usage besides to try on for size (e.g. :stretched, ripped, perfumed). Defective costumes will be exchanged for the same item only within thirty (30) days of purchase and must be accompanied by the sales receipt. All returns will be subject to a charge of 5% to cover credit card / paypal fees. Items sent out via our free shipping service and then returned will be subject to our standard shipping charge depending on the location of the buyer. 16.3 Non-Returnable Products: We cannot process any returns that are dirty, badly broken, or tampered with for obvious health, safety and sanitary reasons. WE DO NOT ACCEPT ANY RETURNS ON THE FOLLOWING ITEMS: Lingerie / Make-up / Any ripped or used products. Only unused or defective products in these categories, in their original packaging can be returned. 16.4 Returns Must Be Authorised: All returns must be pre-approved and authorised. 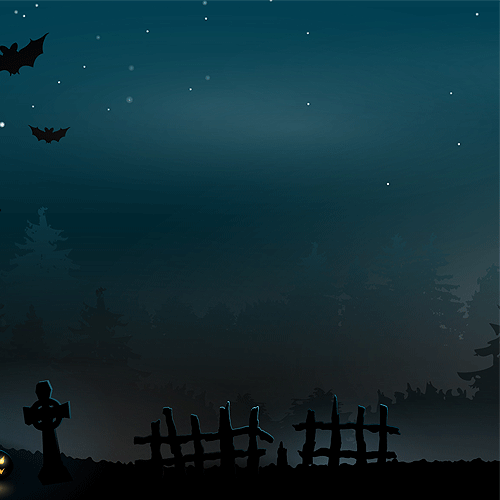 Please contact us at http://halloweencostumes.ie/customer-support/ and obtain a Return Authorization BEFORE returning any product. 16.5 Returns Information: If you have any product issues and would like have a chat or if you have received a defective product, please contact us at http://halloweencostumes.ie/customer-support/ within ten (10) days from purchase so we can make sure you have a proper working product. You agree to indemnify and hold harmless halloweencostumes.ie and its employees, representatives, agents, and affiliates, against any and all claims, suits, actions, or other proceedings brought against them based on or arising from any claim resulting from your breach of this Agreement, your violation of any law or third party right, any claim that use of our services has harmed a third party, your use of the Site, the Services or your data. You will pay any and all costs, damages, and expenses, including, but not limited to, reasonable attorneys’ fees and costs awarded against or otherwise incurred by us in connection with or arising from any such claim, suit, action, or proceeding. halloweencostumes.ie reserves the right, in its sole discretion and at its own expense, to assume the exclusive defense and control of any claims. You agree to reasonably cooperate as requested by halloweencostumes.ie in the defense of any claims. halloweencostumes.ie reserves the right, in our absolute discretion, to terminate your access to all or part of the Site or Services without notice. Upon such termination or suspension you will be denied access to any information or files you have stored on the Site. We make no representation that content on this Site is appropriate or available for use in locations outside Ireland. If you choose to access this Site from a location outside Ireland, you do so on your own initiative and you are responsible for compliance with local laws. 24.7 Communication and Notices: You consent to receive notices and information from us in respect of our Site and Services by electronic communication. You may withdraw this consent at any time, but if you do so we may choose to suspend or close your account. We may provide you with notices, including those regarding changes to these terms by email, paper mail, publication on our Site, by SMS, or in any other way recognized by law. You may contact us at halloweencostumes.ie/customer-support/. 24.12 Law Enforcement: You authorize us to provide any information or comply with any request in relation to you or your account that is requested by any government, court or law enforcement agency. We are not obliged to verify or validate the identity or authority of any such government, court or law enforcement agency if it appears to us, acting in good faith, to be legitimate.